The Best of the Week - 29/08/08 | What Hi-Fi? 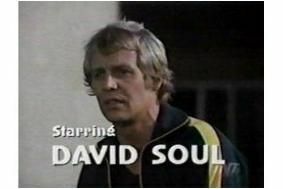 Today School of Rock star Jack Black is celebrating his 39th birthday, and the original Hutch, of Starsky and... fame, David Soul, turns 65. It's 38 years since Edwin Starr's War hit number 1, and more annoyingly 19 since La Bamba by Los Lobos did the same. Meanwhile our own Fantastic Four – Mr Ed Melville, Brand Goddess Clare Newsome, Thaiman's friend Simon Lucas and Joe (we call him Joe) Cox – are putting the funk in Funkausstellung at the massive IFA show in Berlin, and bringing you all the latest news. Meanwhile on the Forums we now have almost 17,000 members, over 73,000 threads and more than 116,000 posts. This week we have mainly been discussing bands we wish we'd seen live, whether it's worth spending big on HDMI cables, and what we've bought recently. So why not join in? Click here to access the Forums or sign up, and here to subscribe to the magazine.